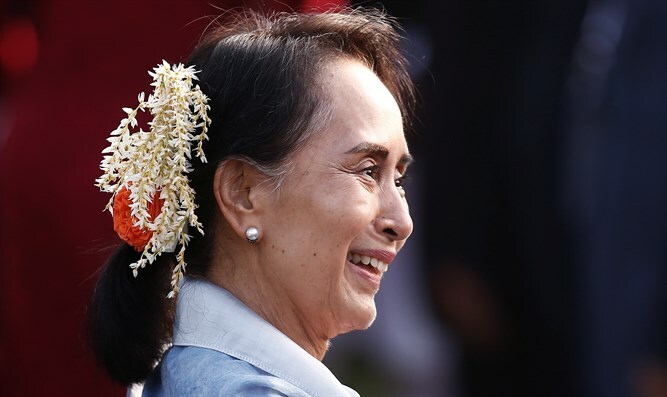 2012 Elie Wiesel Award rescinded from Aung San Suu Kyi over ethnic cleansing of Rohingya in Myanmar. The U.S. Holocaust Memorial and Museum has rescinded a human rights award it gave to Nobel laureate Aung San Suu Kyi, the former political prisoner and democracy activist and now the civilian leader of Myanmar. “We had hoped that you — as someone we and many others have celebrated for your commitment to human dignity and universal human rights — would have done something to condemn and stop the military’s brutal campaign and to express solidarity with the targeted Rohingya population,” read the museum’s letter to Aung San Suu Kyi sent March 7 and first reported by The New York Times. Aung San Suu Kyi was the second person to receive the Elie Wiesel Award, after only Wiesel himself. Named after the late Holocaust survivor and author who won the Nobel Peace Prize, the award recognizes public figures who have combated hate and genocide and advanced human dignity. Its most recent recipient is German Chancellor Angela Merkel. Aung San Suu Kyi was placed under house arrest for 15 years for opposing the country’s military dictatorship. She was internationally celebrated during that time as a pro-democratic icon. In 2015, as part of Myanmar’s transition to democracy, she was elected state counselor, a position akin to prime minister. But she has increasingly been under fire for failing to speak out and oppose the country’s military campaign against the Rohingya, a persecuted Muslim minority in Myanmar. The military has killed thousands of Rohingya and forced an approximate 700,000 to flee, according to The Times. The military has burned their villages and buried the dead in mass graves. The Holocaust museum encouraged Aung San Suu Kyi to cooperate with U.N. efforts to examine and prevent the campaign, and to grant the Rohingya citizenship and full rights, which they do not have. The American Jewish World Service, which funds and provides aid in the developing world, praised the museum’s move. The organization has been at the forefront of a Jewish campaign to bring attention to the Rohingya’s suffering.